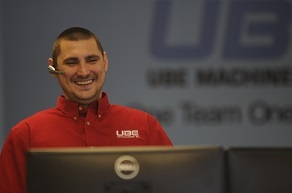 UBE Machinery Inc. (UMI) has the following job opportunities to join our team in Ann Arbor, MI. All resume’s will be reviewed and you will be contacted for an interview if you match our qualifications for the position. Thank you for applying and we appreciate your interest in working for UBE Machinery, Inc.
UBE Machinery provides Service and Parts Support 24 Hours a Day, 7 days a Week, and 365 Days a year from our facilities in Ann Arbor, Michigan.